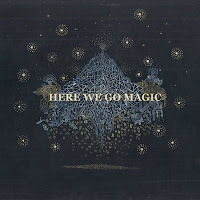 With smooth, high-pitched vocals, quirky rhythmic percussion, and gorgeous atmospheric melodies, the new self-titled album by Here We Go Magic (aka Luke Temple) sounds a bit like a modern indie version of Simon and Garfunkel. The Brooklyn based music is reminiscent of classic rock with a raw sound and earthy feel blended with a touch of Motown’s creative production quality along with modern electronic elements. The album is a bit of a voyage beginning with more traditional rock songs like the poppy crescendoing “Tunnelvision” leading into an ongoing, experimental blend of songs such as “Babyohbabyijustcantstanditanymore” without traditional vocals and closing with a waltz entitled “Everything’s Big.” One of the standout tracks is the brilliant and addictive “Fangala” which is upbeat and musically complicated with its echoed clapping sounds giving strength to beautiful vocals, distant chords, and hypnotic keyboards. The album feels more like a very personal artistic vision as opposed to a traditional popular album, but with its diverse and original sound it should appeal to a fairly varied audience. Here We Go Magic is as interesting as it is at times moving and thoughtful with a duplicitous modern yet classic musical aura. Hands On In Between is a non-stop electronic go-getter. Feisty synthesizer’s sword fight against rising computerized violins and a whole artillery of beats, keyboard quips and healthy kick drum. The album rarely detracts from this formula and continually stretches across this double disc set. However, different vocalists power most of the remixes. For example, Jessica Sutta pays homage to “White Lies” and a more futuristic burst is “Get Back” featuring Ashley Tomberlin with Paul van Dyk and Alex M.O.R.P.H. collaborating. 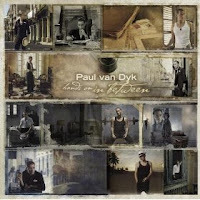 Paul is definitely one of the most recognized and successful DJ’s in the electronic music arena. Aside from winning many awards for his own style of electronic dance music, he was even selected by composer Hans Zimmer to contribute to the Dark Knight original film score. Even though this album seems to never add much new in or out, there is a persuasive ferocious pace to each track that would light up a club scene where electronic beats are used to obliterate time or thought until morning shows up. Steeped in traditions of the old country, this decidedly contemporary act is nothing but worldly in conception. 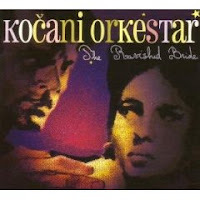 Fronted by a straight up Romani singer (or gypsy for those not into looking it up), the twelve piece Kočani Orkestar blares out a soulful trancedance of brass, snare and clarinet capped with wailing vocals. Many have recently discovered this large group’s sound in reference to the Brooklyn born act Beirut, and while similar, the Orkestar has a whole other angle on what many are coming to call the Balkan Beat genre. The title says it all, as the album comes at one with infectious tempo, swaying beats, and delightful horned flourishes. With most tracks clocking in over five minutes as well, one can really groove on the individual songs. Well represented on the inside of the CD cover, the band’s dozen members play extremely tight and are well presented. It’s more than apparent that these are veteran performers and musicians who are using truly ancient and stereotypically wild sensibility in their rhythmic aims. Tracks that stood out for me were “Romani Caj,” giving me the feeling that I was in a smoke filled tent after traveling some road where eastern Europe ends and the sub continents begin, catching an impromptu and passionate entertainment, where as “Hajde Te Kelas” comes off as so much more contemporary and metropolitan. While the album is very full and enjoyable, not becoming tedious after dozens of listens, it is a very specific type of sound. The Kočani Orkestar are masters of their chosen art, though it’s also true that the genre seems to lend itself well to certain situations of a celebratory nature or moment in which what’s being said might be secondary to the emotion it’s being said with. The tempo remains constant, there aren’t any slower songs as it seems the album is a great live act, recording the best of their set list, no doubt expanded and remixed to perfection. All and all, an enjoyable album for those who are interested in fast paced world music. La Strada’s sound is cinematic and old world yet charmingly vibrant. The jubilation of accordions and swirling violins melt over a backbeat funneling of Balkan musical echoes and chiming. This Brooklyn based seven-piece band features a very impressive three-piece string section of cello, viola, and violin. Each song is very loose, almost breezy. “Loved You All Along,” begins with a whistle solo over a mostly folk acoustic guitar escapade. The six tracks on this EP effortlessly weave intricate patterns of instrumentation into a seductively romantic movement. The overall tonal quality of each horn or string or vocal softly boasts a unique superiority of musicianship and beauty. “Starling” begins as a somber guitar solo held up by a wispy single horn riff and quickly dances a dainty but broken down attitudinal swing. Lead singer, James Craft lifts the whole song up into a delightful flight pattern. The timing shifts along with the dramatic violins and horns, which move complimentary against drums that crash like tidal waves. 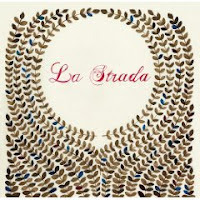 La Strada wonderfully crafts its own niche using the strengths of international folk and indie rock.